The Harkin Institute for Public Policy & Citizen Engagement works tirelessly every day to advance Senator Harkin’s legacy within the realm of disability rights and employment. Much of this focus has been on advancing opportunities for those with disabilities in the international community. The annual Harkin International Disability Employment Summit, which began in 2016, brings together individuals from various sectors and across the globe to identify and create strategies to increase employment opportunities for people with disabilities. Research is underway to examine core values and principles of the Americans with Disabilities Act in an effort to build support for people with disabilities in China. Research will analyze and compare the services and outcomes of people who are deaf in China and the United States and on vocational rehabilitation outcomes in the United States, primarily the affect of the Workforce Innovation and Opportunity Act. The ADA, known as the “Emancipation Proclamation for people with disabilities,” changed the landscape of America by requiring buildings and transportation to be wheelchair accessible, and to provide workplace accommodations for people with disabilities. The ADA was signed into law on July 26, 1990. 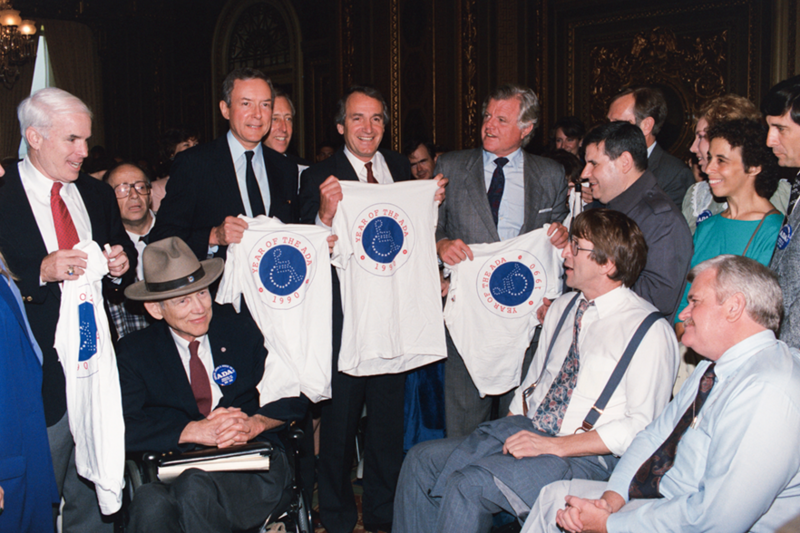 Recently, Sen. Harkin said, “Years later, the ADA has been transformative in so many lives in America. Many of the things that have changed, younger people who weren’t around before 1990 just take for granted, both those with disabilities and without.” Still, there is much progress to be made before we fully achieve the four main goals of the ADA, which is why The Harkin Institute hosts an annual Harkin International Disability Employment Summit. To preserve the intent of the ADA after court rulings weakened its standards, Sen. Harkin and Senator Orrin Hatch (R-UT) introduced the ADA Amendments Act to ensure continuing protections from discrimination for all Americans with disabilities. This was signed into law in 2008. Voter participation: 57 percent of people with disabilities voted in 2012, a marked improvement from 42 percent in 2000. Education: as of 2012, 5.8 million students with disabilities received special accommodation, a direct result of the Individuals with Disabilities Education Act (IDEA). In addition, postsecondary enrollment rates among students with disabilities have increased 17.3 percent. Public approval: 25 years after implementation, the improvements the ADA has made enjoy an 83 percent approval rating from the American public. Dedicated to the issues that defined Sen. Harkin’s career, The Harkin Institute will advance nonpartisan research and study public policy solutions that can increase opportunities for persons with disabilities. The institute is building the foundation to offer fresh perspectives, hands-on experiential learning, and collaboration with international, national, state, and local organizations and policy-makers. The institute embraces the best qualities of bipartisanship, working to advance research and analysis on disability policy that moves beyond entrenched political agendas. The institute’s location at Drake University ensures the capacity to conduct high-quality research while focusing on the young people who make up the ADA generation —and who will lead the conversation to ensure an equal and integrated nation for future generations. Beyond the ADA, Sen. Harkin stood as an unwavering ally and advocate for individuals with disabilities, championing a myriad of legislation that worked to ensure those with disabilities could live productively and with dignity in society. 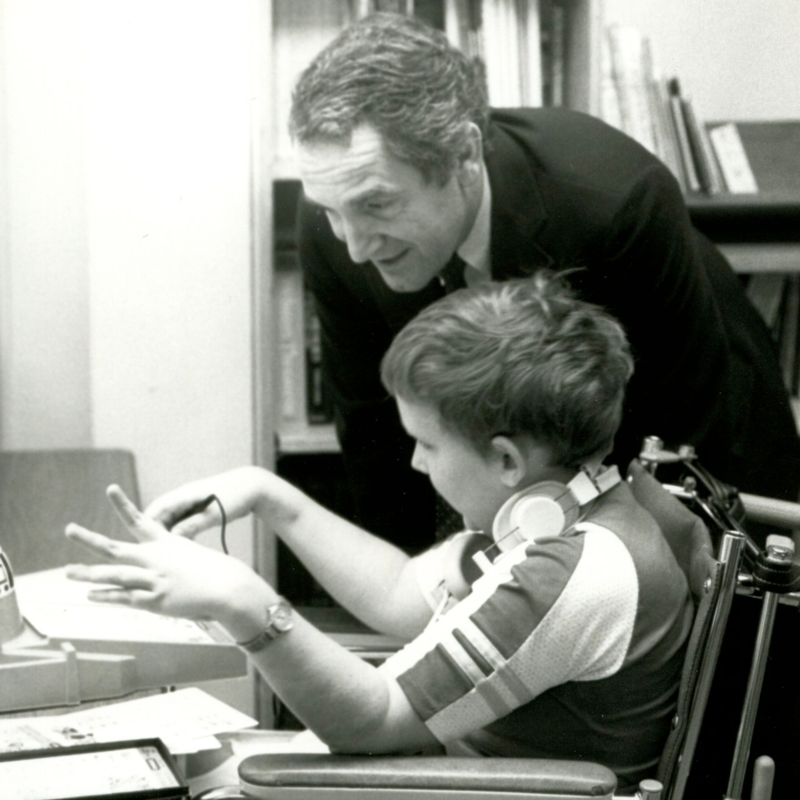 Sen. Harkin championed the 2004 Individuals with Disabilities Education Act (IDEA), which ensured public schools could provide resources to students with disabilities. The act mandated “free and appropriate public education” and individualized education programs (IEPs) for those with disabilities. In addition, the Higher Education Opportunity Act of 2008 sought to increase the enrollment of young people with disabilities in community colleges and universities. The Help America Vote Act of 2002 included specific provisions to ensure people with disabilities could participate fully in the voting process and that they were not disenfranchised during elections. The 2014 Workforce Innovation and Opportunity Act established vocational education services to ensure the success of people with disabilities in the competitive, integrated job market. Sen. Harkin left a lasting impact on federal organizations operating in foreign countries through the creation of disability advisor positions at the U.S. Department of State and the U.S. Agency for International Development. He also consistently advocated for the United Nations Convention on the Rights of People with Disabilities, an act that would ensure ADA-like protections for more than one billion people with disabilities.